When the holidays roll around, will you travel with your puppy or leave him with a pet sitter or boarding kennel? Plan now so that your puppy knows what to expect and you ensure he’ll have a safe and stress-free vacation, too. Many of us will travel to visit family and friends, have folks visit, or spend vacation time away from home. Time off from work and a change of routine offer humans much-needed stress relief. But the same is not always true for furry family members. Good vacation plans depend on the individual pet and your special circumstances. 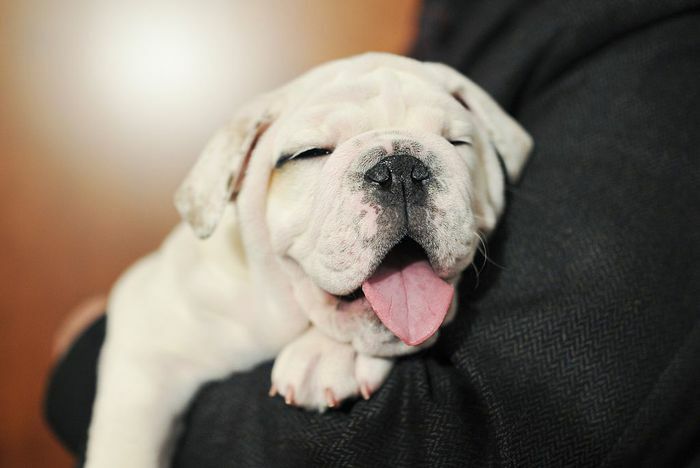 Does your dog love meeting new people, hide, or become hyper around strangers? Perhaps the new puppy enjoys riding in the car but your brother’s cat hates dogs or your nephew has allergies. Some dogs do well when boarded at the kennel, and that can keep them away from hair-pulling toddlers. Even the best-behaved pup could scratch a new baby by accident and put you both in the doghouse with the new parents. However, some needy pups that suffer separation anxiety go on a hunger strike if away from home. Destination matters, too. Your pups may not be welcome at a Colorado ski resort. Even if they are, the crew must be happy campers—literally, if you plan hiking trips or outdoor overnights. Leaving pups at home alone for a short time is also an option. But unless your pup is litter box trained (yes, it can be done! ), people visits must be more frequent for potty breaks and meals. Some pups eat four days’ worth of food at one time if it’s left out all at once. And baby dogs are notorious for getting into trouble when unsupervised, so this is not an ideal option. Make arrangements to have a friend, a neighbor, or a professional pet sitter visit at least once a day to take the pup outside for potty breaks, and check food and water. The puppy will appreciate some playtime and cuddles, too, while you’re gone. Many pups are fine when boarded at kennels. Reputable kennels require proof of adequate health care, so get vaccination proof from your veterinarian in advance. Some state-of-the-art facilities now provide pets with sofas, play times with other dogs, and even closed-circuit television monitors owners can access over the Internet while on vacation, to keep an eye on their furry friends. Visit the kennel yourself, ask for recommendations from other clients or veterinarians, and satisfy yourself Rex will be happy and any special needs can be met. For instance, if he needs a particular food or medication at certain times of the day, ensure the staff are aware and can manage this. 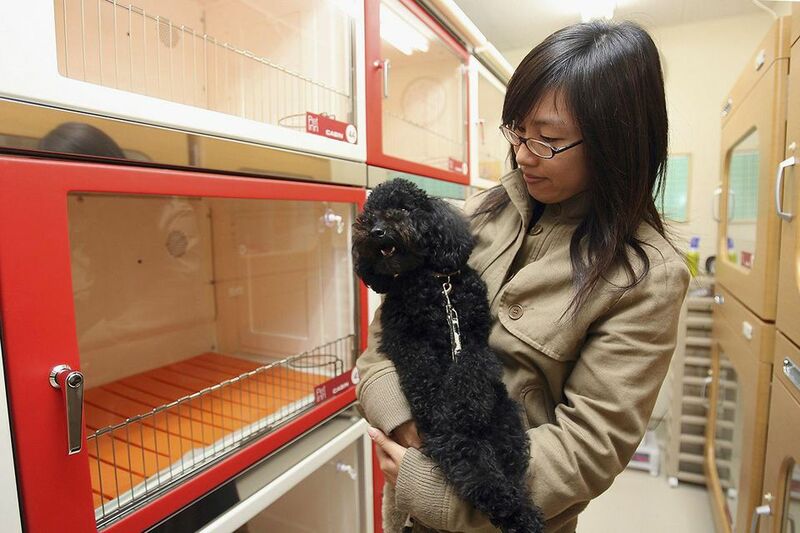 Veterinarians may have kennel space available for dogs with health issues that need monitoring. Ask your veterinarian for recommendations regarding boarding facilities. A pet sitter comes to your house at predetermined times, to provide the one-on-one attention and care your pets need while you are away. It’s important that both you and your pets feel comfortable with the pet sitter. Plan at least one visit with the pet sitter to meet your furry crew before you depart, and see how everyone gets along. Always ask for references. You can also search via professional organizations including the ​National Association of Professional Pet Sitters and ​​Pet Sitters International. Be sure to leave caretakers with detailed information about each pet’s care needs, veterinary contact information, and emergency phone numbers where you can be reached. Talk with your veterinarian about signing a “just in case” authorization for medical care (you can designate the dollar amount). That way, emergency care is available and funded even if you are unavailable to give your approval in person. If your puppy is a good traveler, and welcome to your vacation destination, you’ll still need proof of health status. Your veterinarian can provide you with a Health Certificate, required for pets traveling on planes or crossing state lines traveling by car. Call airlines and hotels ahead of time to find out the latest pet requirements. To qualify as “carry on” luggage, the pet carrier must fit under the airline seat in front of your legs. These days, the price of flying with pets has gone through the roof, and some carriers and hotels won’t allow animals at all, so find out in advance. Preparing for your pets’ comfort during your vacations gives you peace of mind so you can enjoy your time free from worries. After all the joy they bring you throughout the year, don’t your puppies deserve happy holidays too?